visit her links page for her social media links. 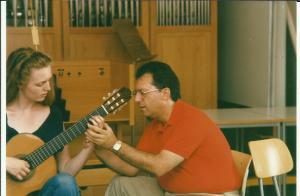 Bradford: How did you first become interested in classical guitar? Heike: I really don’t remember.. There was a guitar hanging on the wall in our home and it always felt that she smiled at me. All my life I was fascinated with Spain and already loved Flamenco as a kid…strange choice because my family are opera people! My first guitar recording was the Boccherini Quintets with Pepe playing. 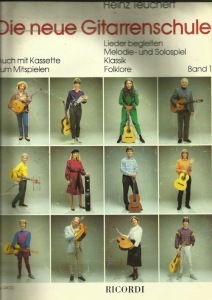 But as kid of course I played piano and after some time of teenage rebellion I surprised everybody with a wish: I wanted to learn guitar – and I went directly to legendary professor Heinz Teuchert; later he told me that it was a great experience to teach a student who had no idea of guitar but already was full musician. Bradford: You studied with Pepe Romero and often praise his kindness and excellent teaching. Can you tell us about your experience studying with him or other teachers? Heike: Guitar playing is not just learning to move the fingers but something like a complete lifestyle which asks for a lot of devotion. Pepe is able to teach what you should be thinking while playing, how to work, how to prepare, how to stay healthy and to become a natural player. The result being that you don’t try to do something awkward just to be different, but to let the music speak itself, to put your ego away. For me, those are some of the most important skills to turn a player into a lifelong professional. We were almost never talking about the musical side, he always said that he just has to put me into the shape that I can play all the music that is already there inside. I took many many masterclasses and they were, of course, inspiring. I loved playing, especially for David Russell, he is a very supportive teacher! Sometimes, with just one phrase, a person can change the world for you, suddenly making things work smoothly. I had that experience with Oscar Ghiglia and Maria Linnemann. But I will never stop learning. Listening to good music, especially non-guitar music, is the best teacher to keep your mind open and to go deeper and deeper into music. 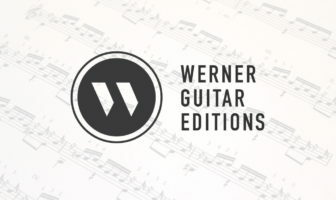 Learn to play Mertz by listening to Schubert, learn Giuliani by listening to Rossini etc..
Bradford: What have been your most rewarding experiences as a guitarist? Heike: I don’t want to namedrop places, it’s more important everytime you are on a stage and you catch the flow where you just listen to yourself and the music is there. But of course, it is overwhelming to see how enthusiastic audiences can be in countries like Russia or China. I have never won a competition, so I can’t tell you how this feels like ; – ) But I always feel endless happiness when playing Castelnuovo-Tedesco, the quintet or the concerto which is my all-time favorite guitar concerto..
Bradford: You’re very active online, especially with social media, you have an amazing following. What do enjoy most about being connected to such a wide audience? Heike: I love it… The world has changed and artists should not stay in what we call the “ivory tower“ in Germany, you have to be open and communicate – and I love to talk, especially about music. And surprisingly it fits perfect to my daily rhythm with regular breaks ( every 45-60 minutes), then I spend some minutes on the internet, then go back to the guitar, this is why it seems that I am online all day. And the crazy experience is, the less you think of your own stuff, the more people you reach, just egospamming how wonderful one is, is a social media disaster, I love to be an ambassador for classical guitar in the internet! Bradford: You’re also a very active guitarist at festivals and concerts, what’s next for you? Heike: The next guitar festivals are in autumn in Germany, in summer a Aranjuez in Austria, many smaller concerts here, but right I am starting a new program and the last steps to release the next CD have to be done, so a lot of work waiting! The CD will have Mozart, Schubert, Beethoven etc in 19st century versions on it, music I heard all my life or I played on the piano, a very special project for me because it feels like finally really melting together my opera and piano background with the guitarist..
Bradford: Since I’m on the West Coast of Canada I don’t get over to Germany much. 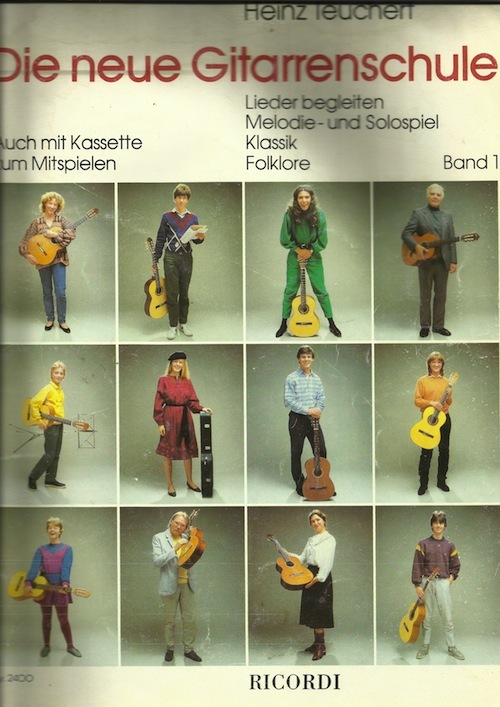 Can you tell me a bit about some guitarist’s of interest in the German scene? Heike: Germany is a crazy place for guitar, so many world class players come here to study (for example with Hubert Käppel, Joaquin Clerch or Thomas Müller-Pering), there are lots of festivals , a couple of competitions (Koblenz and Iserlohn are the most important ones! ), but it is still difficult for guitar in “normal“ concert life, the guitar is not so much in fashion there. And although it seems that cultural life in Germany is still a paradise compared to many other countries there is a lot of erosion and money problems. Bradford: What kind of guitar and strings do you currently perform on the most? Heike: I love my Gioachino Giussani (with Canadian maple!! ), a guitar with unbelievable projection, I trust her in every hall! And strings? I am completely addicted to the oldschool Savarez 520J, also a thing I got from Pepe, he told me: Try them – then you will never wish to play on anything else – he was right. I know many guitarists complain about the little noises and the rough surface, but I call it grip! And I even record on them, but they have to be then minimum 4 weeks old..
Bradford: What advice can you give students of the guitar who are looking to study it for a lifetime? Heike: Stay healthy!! It scares me to see wonderful musicians who do crazy things to their body while playing and you could almost bet how many years they will be able to continue like that. I do super-regularly sports when I am home, 4-5 times a week plus 15 min of stretching after finishing practising. To be a travelling artist and to play at your maximum level is so charging (but also rewarding), you have to learn to fill your batteries. Or see her other albums via Amazon. 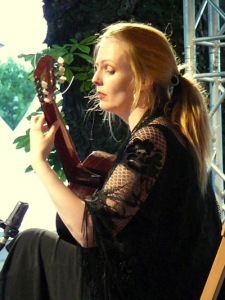 Heike Matthiesen is one of Germany’s leading guitarists whose virtuosity and spirited performance, coupled with a charismatic stage presence, are regularly highlighted by the press. Born in Braunschweig, she received comprehensive musical training on the piano at an early age and only took up the guitar when she was 18. About a year later, she started studying at the Frankfurt Conservatory. Pepe Romero, who taught her for several years, was the formative influence on her playing. In addition, she attended a large number of master classes, inter alia with Manuel Barrueco, David Russel, Roland Dyens, Alvaro Pierri and Leo Brouwer. Apart from her solo commitments, Heike Matthiesen regularly performs with chamber music ensembles, and since 1997 she has been closely affiliated with Villa Musica Mainz. 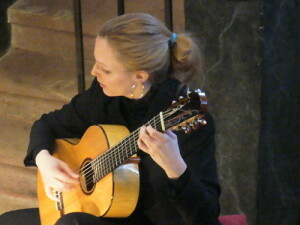 She has appeared with Los Romeros and, in 2005, recorded a CD with the Spanish Art Guitar Quartet (“Bolero”, NCA). Heike Matthiesen has performed in many different countries, including the US, Russia, Japan, China, France, Spain, Italy, Poland, Iceland, Austria and Bulgaria, and is a very welcome guest at festivals and in guitar concert series. She has had two recordings with Tyrolis, on “Sol y luna” with a Spanish-South American repertoire and “Tristemusette”, an internationally acclaimed portrait of Roland Dyens. The next recording will be released April 2013. You can subscribe to Heike’s activities through her website or visit her links page for her social media links. I personally really like her Google+ posts that keep people up to date on her activities but also on other guitarists through videos and links. 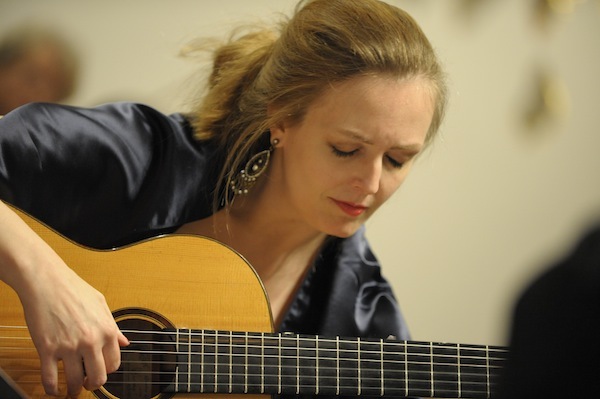 A big thank you to Heike for all that she does for classical guitar both as a player and also as a supporter! Thanks for this interesting interview, makes the social media connection to Heike even more personal and interesting.. next step.. travel to Germany (there are my neighbours so what’s stopping me 😉 and visit a concert of hers!